The agri food sector makes a powerful contribution to the economy of Ireland’s Mid-East and North East. 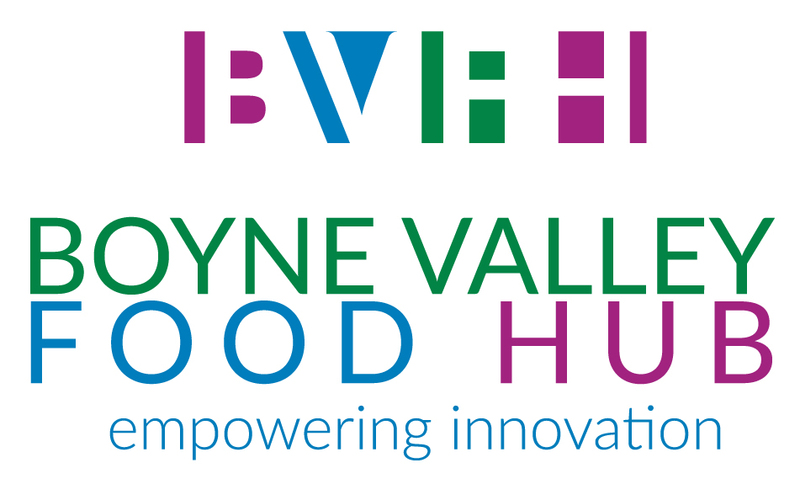 Therein, the Boyne Valley region has been synonymous with food production and trade dating as far back as 10,000 years ago. The region typifies the ambition of Food Wise 2025 – ‘Local Roots Global Reach’ and acts as a base for some of Ireland’s leading indigenous and high growth food businesses – Largo Foods (Ireland’s leading snack food company), Dawn Farm, Meade Potato Company (over 650,000 sq ft, 240 employees and 100 product lines), Kerry Foods, Lir Chocolates, Epicom (full turnkey ambient food manufacturing service for clean label functional foods with 300 products and exporting to China, Scandinavia and the EU) and East Coast Bakehouse to name just a few. They are joined by a growing crop of micro food businesses blazing a trail to market through the efforts and support of Local Enterprise Offices across the Mid-East and North East. Growing food SMEs who wish to scale-up or develop new products in response to proven market demand. 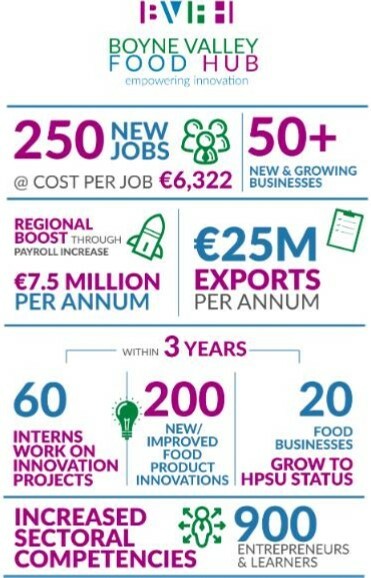 This also includes food companies from Dublin. Méabh Conaghan, Senior Advisor, Food Entrepreneurship & Food HPSU, Enterprise Ireland is clear ‘Our experience in food HPSU is that appropriate space is difficult to find across the whole country (especially Dublin). We are specifically positioning the project as a business base for UK and Northern agrifood companies. As highlighted in the Irish Independent– the Northern Ireland agri-food industry is “in grave peril”. John McCann of Co Down firm Willowbrook Foods said the uncertainty meant he had put off plans to invest £1m in the business.